Your customers expect contextual, personalized experiences with your brand. As the largest sender of personalized email in the world, coupled with our dynamic onsite and mobile personalization, there is no doubt Sailthru can increase the relevancy of your communications by personalizing your experiences for every individual. It’s why Facebook awarded Sailthru top honors for Personalized Marketing at Scale, and why leading brands turn to Sailthru for real-time 1:1 personalization. Action on your user data to deliver personalized experiences using a combination of interest data, wisdom of the crowd, and predictions— delivering contextual recommendations across channels throughout a customer’s entire lifecycle built on their past, present, and future behaviors. Delivering discounts and offers to customers on the channels that make sense. 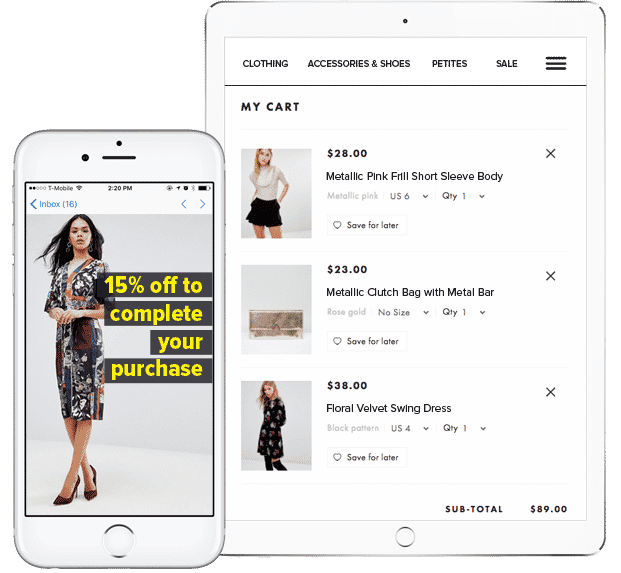 Marketers can now send unique discounts and offers to their consumers across their homepages, product or store page, or even within a customer’s shopping cart. 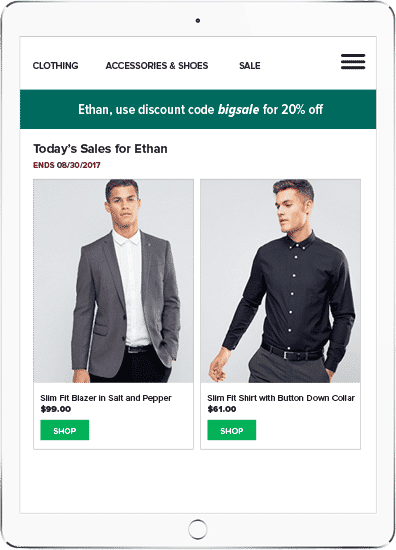 To provide an even more consistent customer experience, discounts across email can carry over to a customer’s web experience (and vice-versa) to maximize a customer’s opportunity to convert. And since Sailthru’s personalization is done on one platform, marketers can take their learnings from their personalized emails and leverage them to create customer journeys or set up a marketing email campaign that will deliver a 1:1 personalized email to every customer using one simple template. Say “hello” to more effective personalization marketing.